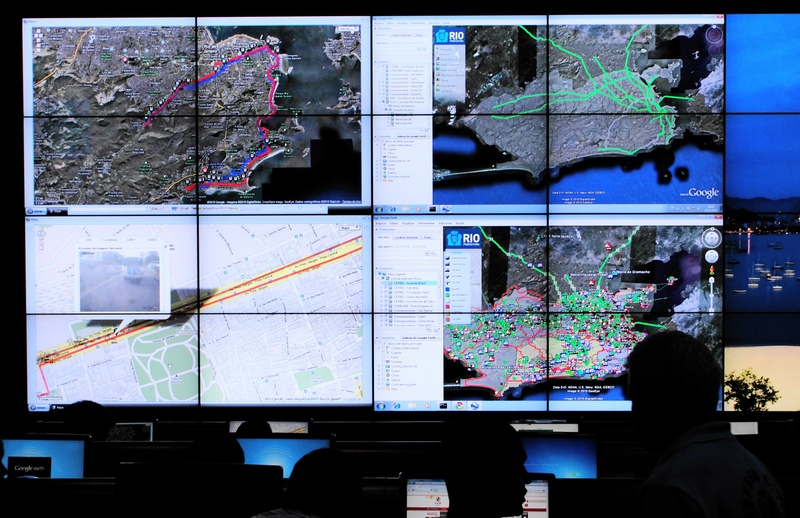 A recent New York Times’ article, “Mission Control Built For Cities“, provides a glimpse into the development of IBM’s Intelligent Operations Center in Rio de Janeiro. 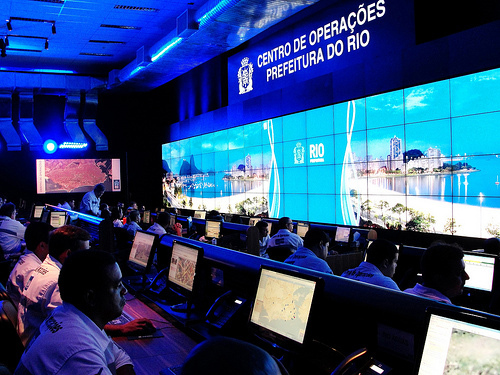 The Rio Operations Center is one in a network of such installations in IBM’s Smarter Cities Program. But as we learn, the project in Rio is different from its predecessors. 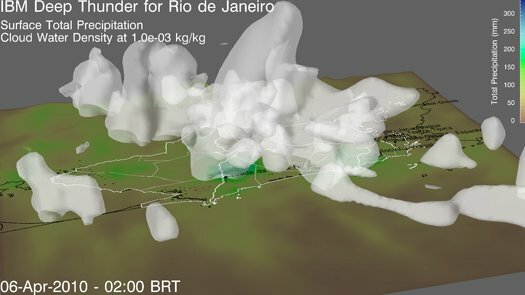 The project was initially intended to improve information exchange within a single agency or department, such as emergency response to flash flooding and land slides Today the extent of the project’s data integration is now far more broad and inclusive of urban phenomena, choreographing data from some 30 different agencies. “I.B.M. incorporated its hardware, software, analytics and research. It created manuals so that the center’s employees could classify problems into four categories: events, incidents, emergencies and crises. A loud party, for instance, is an event. People beating up each other at a party is an incident. A party that becomes a riot is an emergency. If someone dies in the riot, it’s a crisis. The manuals also lay out step-by-step procedures for how departments should handle pressing situations like floods and rockslides. We recently speculated on the agency of what we called the urban field manual. We divided such manuals into two general categories: those that are generated through normalized means and established public institutions, or what we called ‘the Inside Job’. These consist largely of the Bureaucratic Retrofit, which leverages the knowledge and authority of public agencies towards improvement in urban conditions through the production of codes and manuals. The other category, unsolicited edits, was where we spent the bulk of our ink, exploring emergent urban practices happening outside of conventional urban design avenues. Perhaps we gave short thrift to the inside jobs, as our description of them didn’t say much about these operation centers, or much about such government and corporate partnerships, or the still pervasive desire for the agency of centralized urban intelligence, “a smart city in a box“. From descriptions such as these one can envision emerging realms of collision space, diaphanous thresholds between what is (and was) and what is being delegated and ‘seen’ into existence in Rio. If I were a funded anthropologist or a geographer, I would likely be investigating these shifting zones and their odd situations as a particular breed of networked urbanism. I hope someone is. This might sound like a stretch, but in reading the Times article I couldn’t help but recall China Miéville’s urban fiction The City and the City. Within the subtle, convoluted border meandering between the divided cities where its plot unfolds, there are areas of ‘cross hatch’ where one cannot tell which city one is in. Within the cross hatch is a third space controlled and inhabited by ‘breach’ who watch everything occurring in the interstitial zone. The adjacent cities are forced to physically ‘unsee’ each other. Breach itself is unseen yet omniscient, insuring that the two sets of citizens avoid all contact with each other. 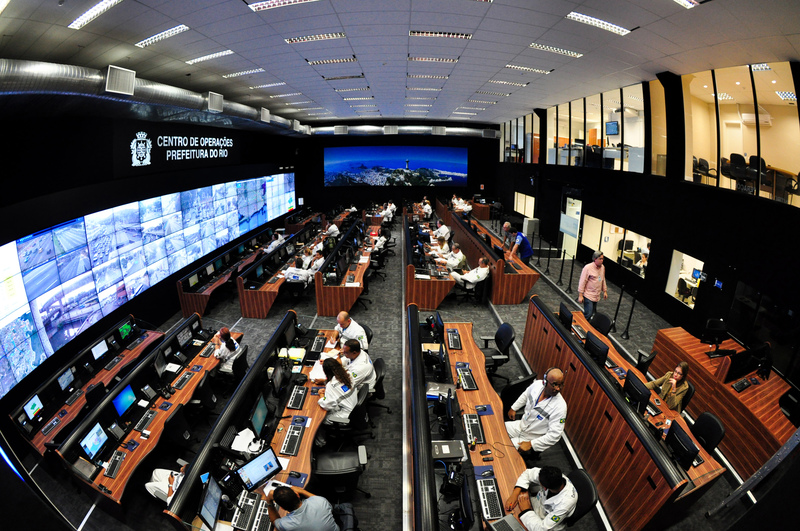 The operations center in Rio is similar – powerful and ghostly – but its role is inverted. Its intention is to find ways to amalgamate disparities and iron-out disruptive folds in the urban field.